Pretty sure there’s some powerline trails that would connect Kingswood to the Bedford range trails, which has some jumps and other features. There’s a dirt road that continues across from the end of Larry Uteck that connects to the power lines that run behind Atlantic Playland. The power line road is broken by two subdivision roads now, so I don’t know how continuous the trail is, and there are some boggy water holes, but eventually it comes out to the Bedford Range Trails. There used to be some fun side trails off the power lines, but I think they are long since destroyed. If you cross Lucasville and ride up the power line trail in the other direction there are dirt jumps at the Maplewood Park. 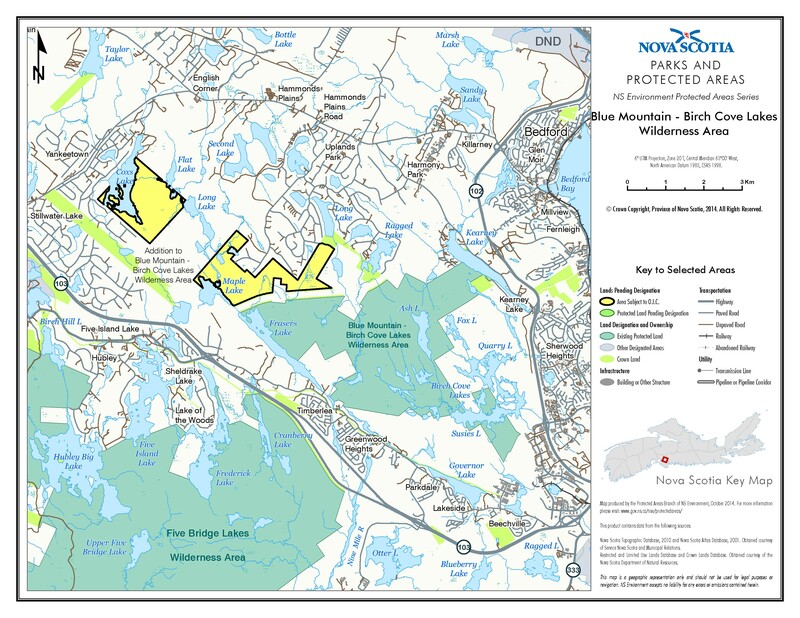 A lot of the land around Kingswood is now the Blue Mountain/Birch Cove Wilderness Park, and building in there would be frowned upon. Not sure quite where the boundaries of the park are. Here’s the map of the wilderness area (green) and crown land (yellow) which has been added to the wilderness area, there’s lots of woods for building a few jumps around there, not all the crown land in that area was added.